Since 1986, L Seven N Company Inc., Ventilation Cleaning Specialists has been providing cleaning and maintenance services for commercial and residential exhaust hoods, air ducts, chimneys, dryer vents and more. We aim to leave your home or business with air that’s fresh, breathable and safe. There’s nothing more important than the quality air we breathe while in our homes or at work. The quality of this air is dependent on a number of things—namely the cleanliness of the ventilation system delivering it! L Seven N Company Inc., Ventilation Cleaning Specialists is here to provide you with cleaning and filth eradication services to ensure the air blowing in your building is of the highest caliber. We’re thorough and complete when it comes to air duct cleaning in Santee, CA, and we make sure that the source of your air is free of dirt, dust, pet hair, allergens, lint, microbes and more. In addition to cleaning vents, our focus on clean air and safety expands to a number of other crucial components in your home or business. 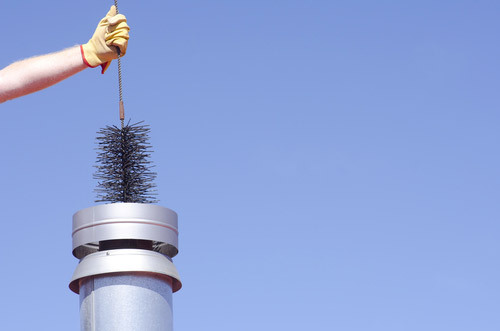 We’re the professionals to call for dryer vent cleaning, chimney sweeping, grease trap cleaning, and exhaust hood cleaning in Santee, CA. We can even provide smoke damage remediation to help eliminate toxic odors. Need mold testing and remediation? We do that too! Our mission is to not only provide you with clean air, but also to protect your home or business against fire hazards, mold and other dangers. If the air you’re breathing is anything less than perfect, we invite you to call us today to learn more about how we can improve it. We’re certified in Mold and Mildew Remediation and accredited by the National Air Duct Cleaning Association (NADCA). We’re also a certified Air Cleaning Specialist. We’re an accredited A-plus rated member of the Better Business Bureau (BBB) of San Diego County. Our business is fully-licensed and –insured (Contractor License #613090). We have our Minority Women’s Business Enterprise Certification. We offer 10% off for residential work if you mention our website and free estimates for commercial projects. To ensure the air in your residential or commercial space is safe, fresh and free of pathogens, trust our expert team to deliver thorough cleaning services! Contact us today for a quote.